it's just a piece of toast. He returns and says, I'm sorry. Well…it's March, but it's Friday. Yes, I'd love a piece of toast. 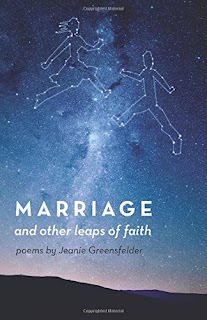 "To Toast or Not to Toast" and "Thoughts on Thoughts" from Marriage and Other Leaps of Faith © 2015 Jeanie Greensfelder. Reprinted with permission.